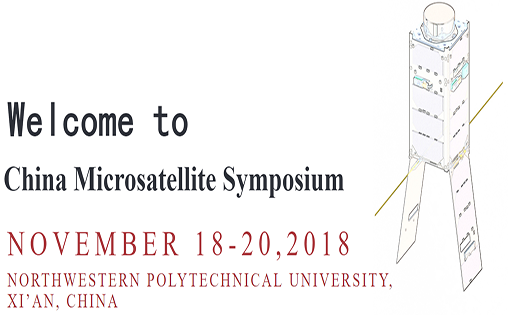 The first China Microsatellite Symposium will be held in Chang'an Campus of Northwestern Polytechnical University (Xi'an, China) from November 18th to 20th, 2018. The symposium focused on the design experience, scientific missions, launch opportunities as well as other relevant innovative technologies. During the session, distinguished experts and scholars will be invited to present plenary reports, meanwhile, a related exhibition on microsatellite technology and applications will also be held. The symposium is supported by China National Space Administration, Belt & Road Aerospace Innovation Alliance, Northwestern Polytechnical University, International Astronautical Federation, Chinese Society of Astronautics, Chinese Institute of Command and Control, IEEE Xi'an Section and California Polytechnic State University. The Chair of Technical Committee is Professor Jordi Puig-Suari (the CubeSat standard developer). The Co-Chairs of Technical Committee are Academician Li Deren (director of State Key Laboratory of Information Engineering in Surveying, Mapping and Remote Sensing) and Professor Zhou Jun (director of National United Engineering Laboratory of Microsatellite Technology and Application).